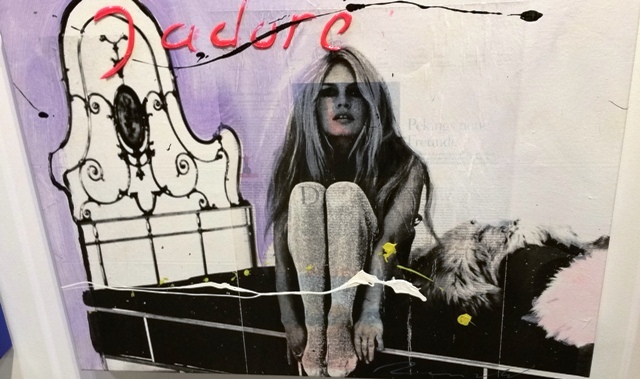 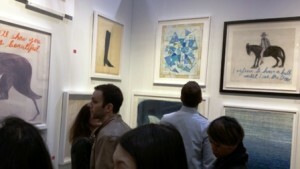 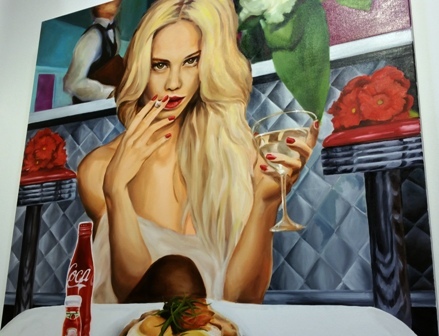 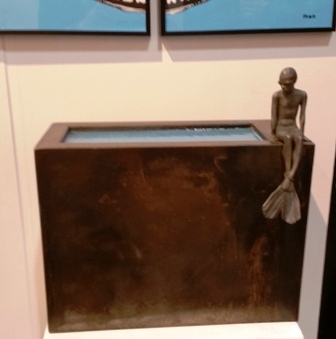 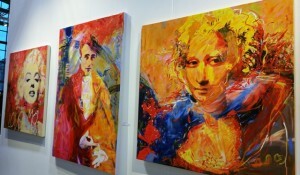 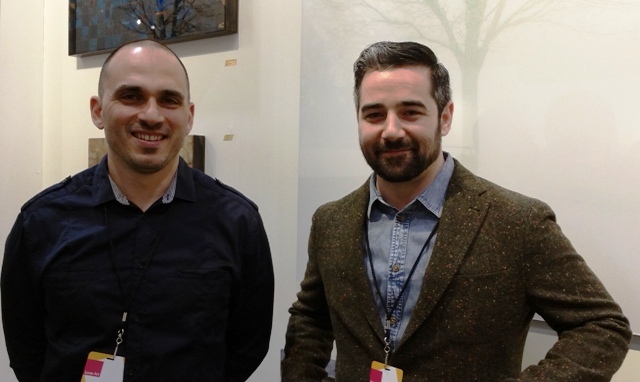 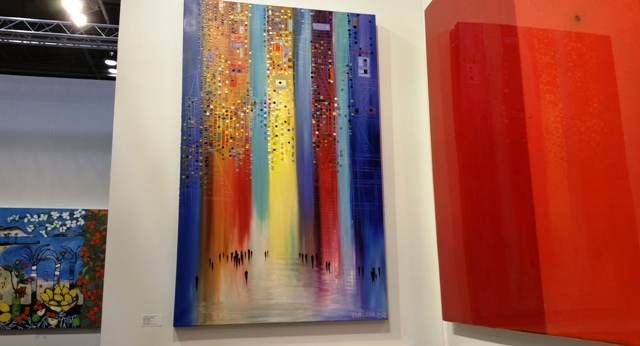 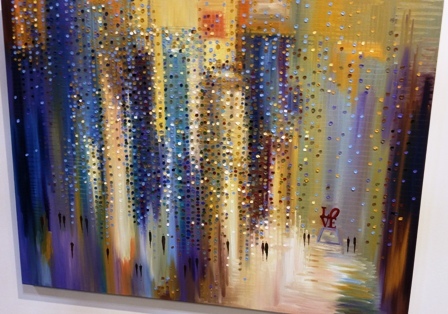 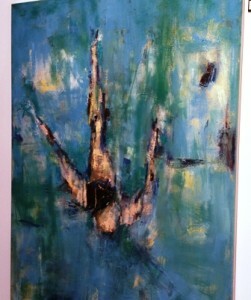 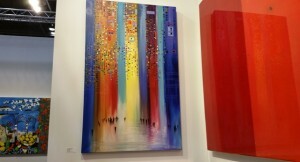 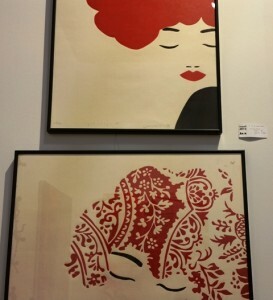 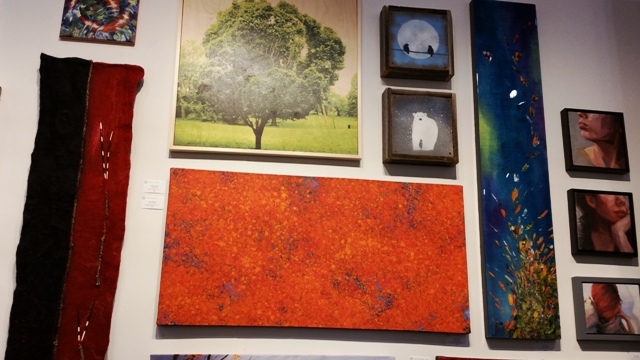 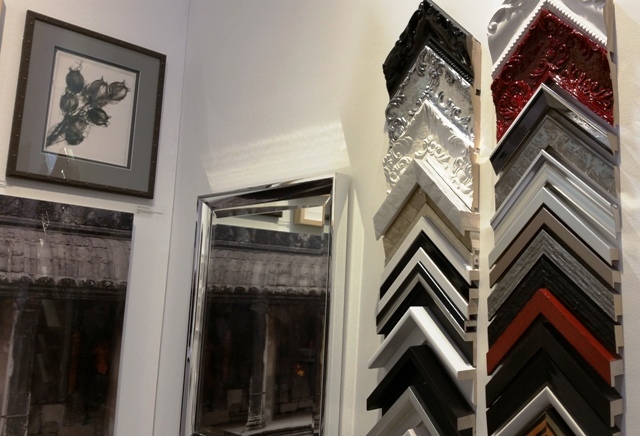 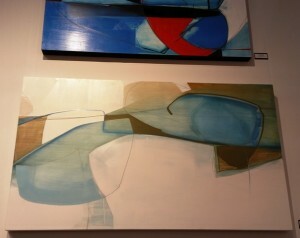 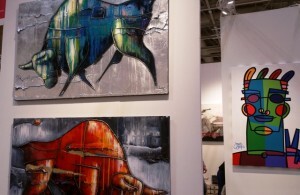 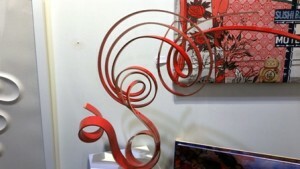 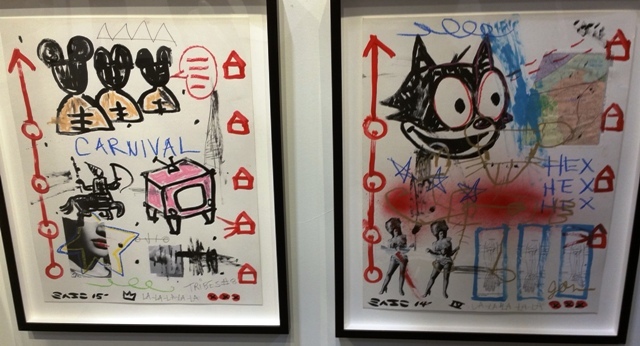 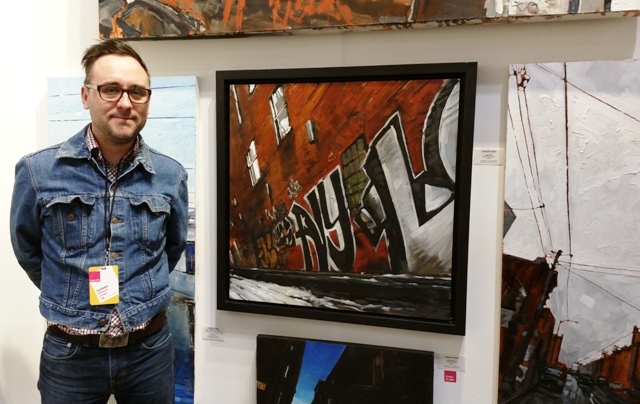 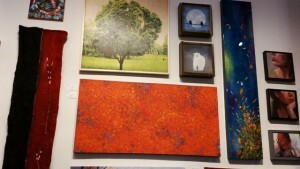 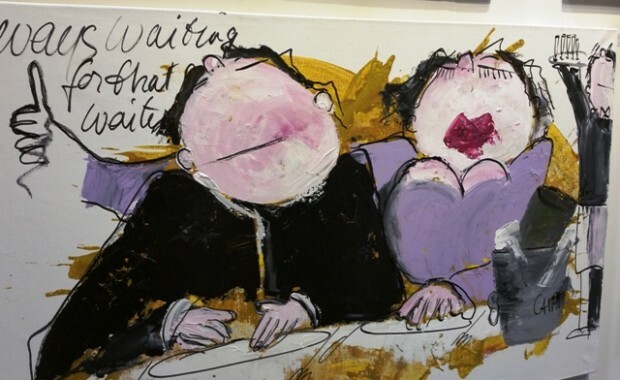 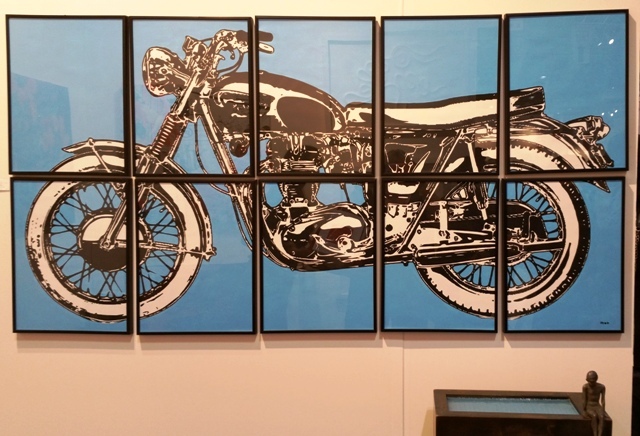 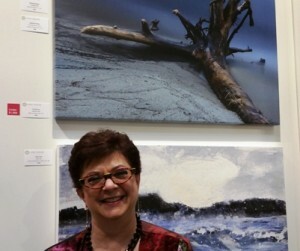 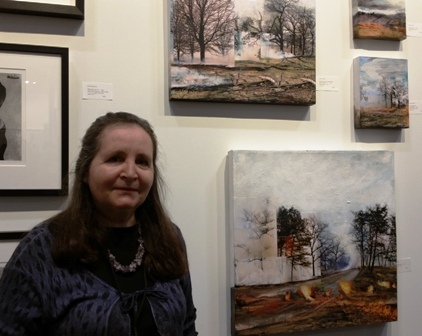 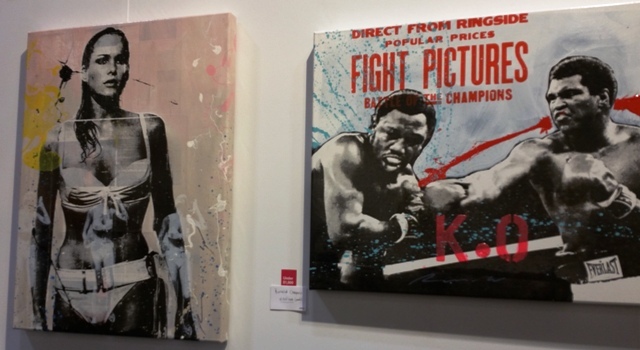 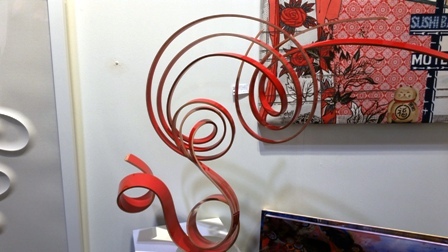 GREAT ARTWORK SHOWCASED @ “LOVE ART FAIR” in TORONTO THIS WEEKEND. 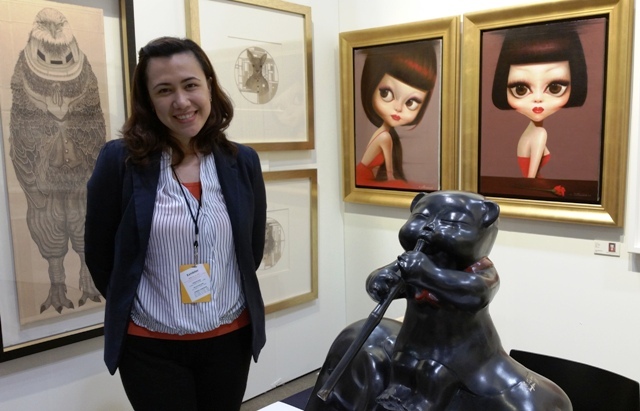 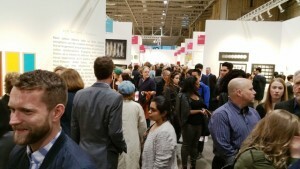 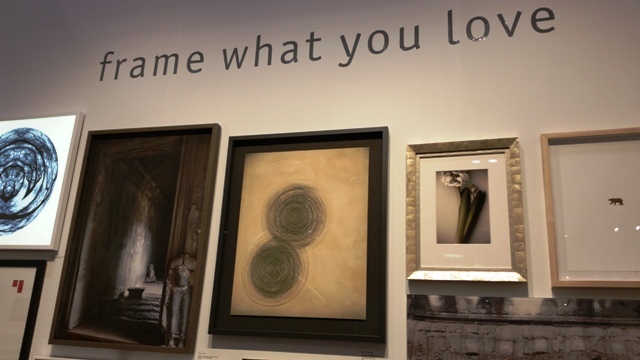 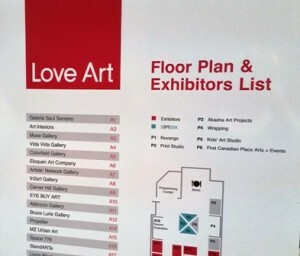 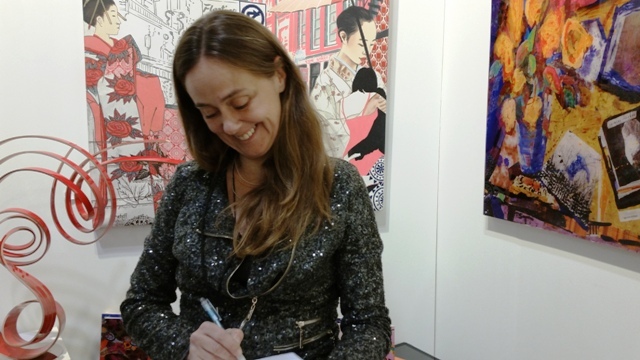 There was such a crush of art aficionados at the VIP/media preview last night at the LOVE ART FAIR http://www.loveartfair.com/toronto/ taking place this weekend in the Heritage Court of the Direct Energy Centre at the Exhibition Grounds in Toronto. 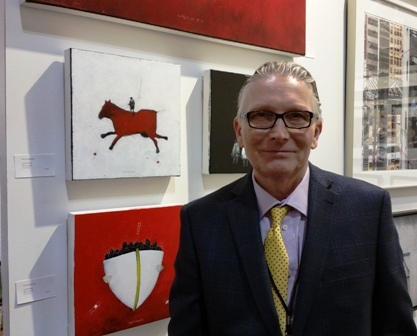 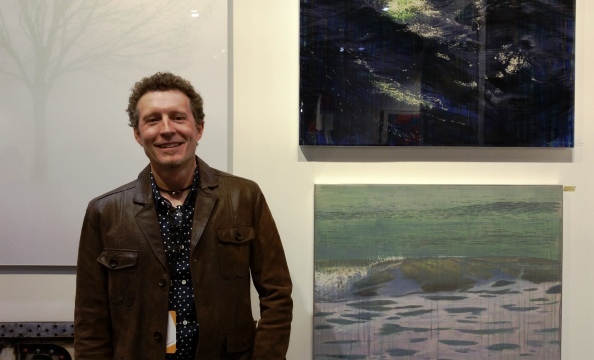 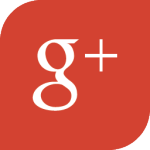 I was thrilled to run into artist friend Stewart Jones (below) who left the city for the wide open spaces of Wellington County last year (http://www.stewartjones.ca/ ) ……. 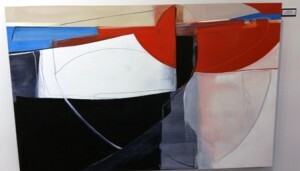 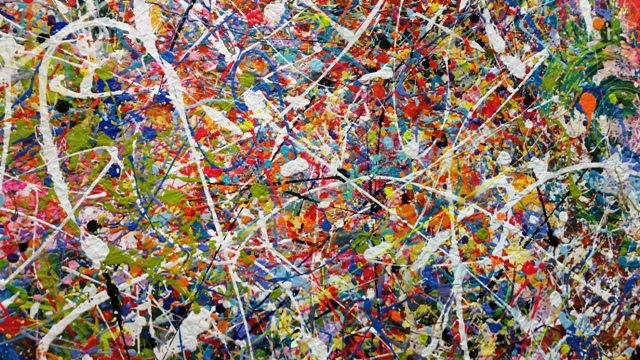 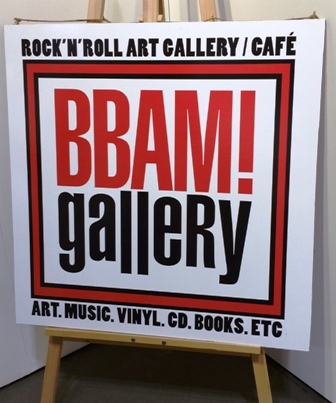 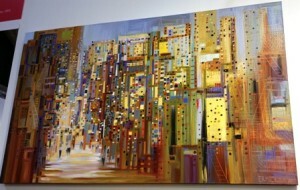 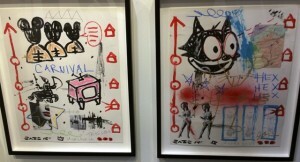 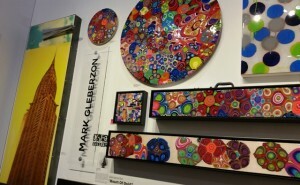 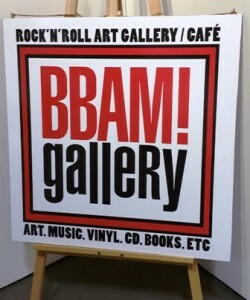 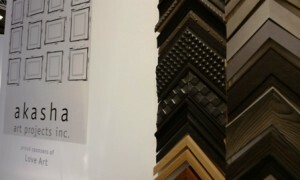 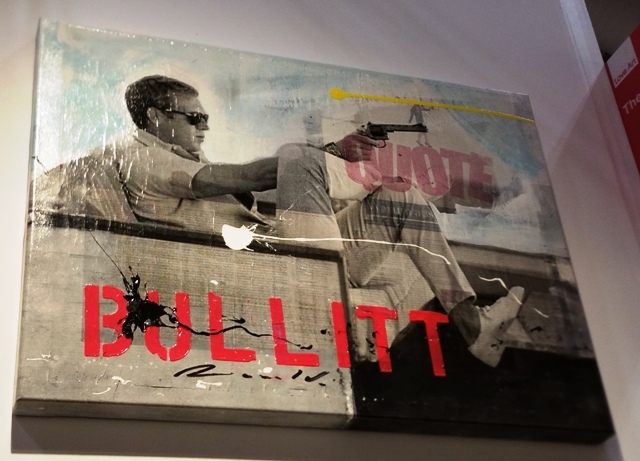 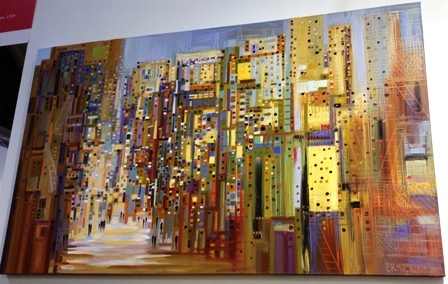 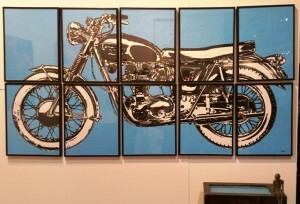 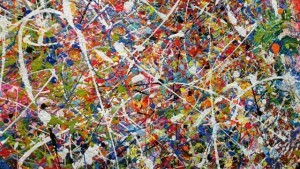 ….and Mark Gleberzon of MJG Gallery (below) in Toronto who was busy chatting with media and fans ( http://mjggallery.com/ ). The Workman Collective booth http://www.workmancollective.com/ hosted three handsome artists (below) – Joe Sampson, Adam Colangelo and Michael Toole. 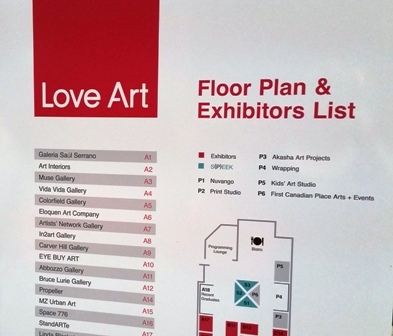 The gallery is located at 1655 Dupont in Toronto so I definitely recommend a visit there to see their stunning works in person if you can’t make it out to the LoveArtFair. 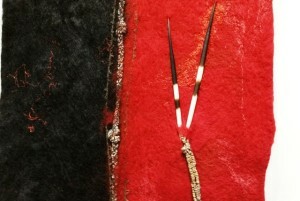 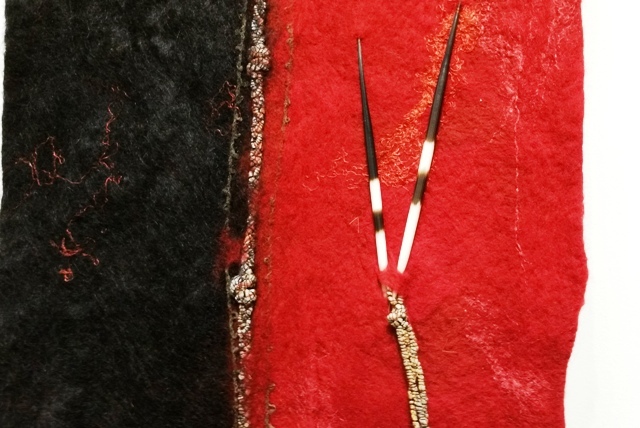 Fibre artist Sheila Thompson showcased a beautiful felt piece, complete with porcupine quills (pic 2) and photographer Lori Ryerson posed proudly under one of her large format photos (pic 3 below). 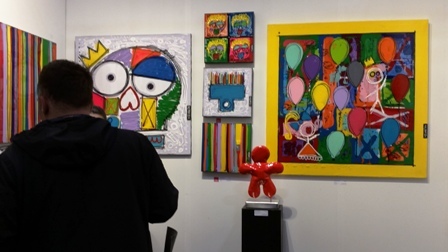 So many cool artists are represented here…I wish I had lots of $s and a ton of wall space! 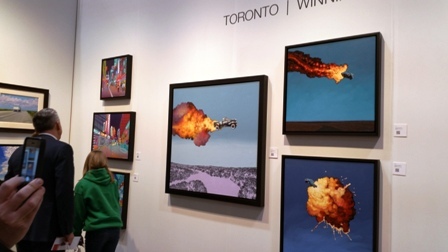 I really recommend you visit this show and I thank you for supporting the Canadian and international artists!